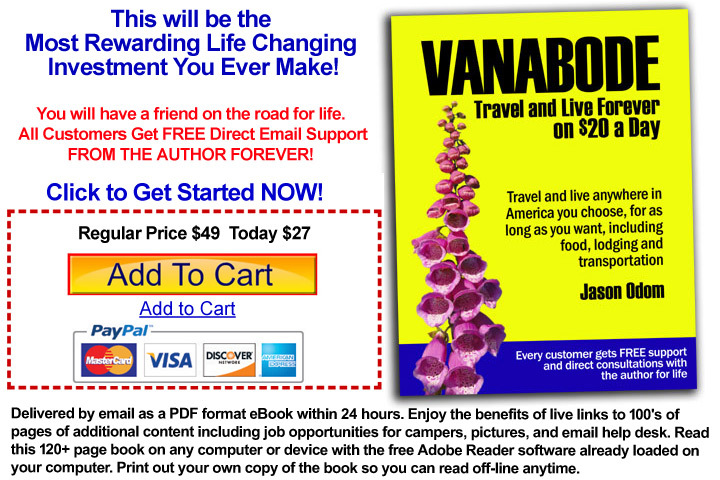 RV Wine Trips from Florida to Arkansas. It's a funny thing that sometimes you really don't do all of the activities in the city where you live. I have passed the Lakeridge Winery and Eden Vineyards many times while living in Florida but never really took the time to visit. Now, I can't believe I wasted so many wine tasting and wine buying opportunities. Veering off the highway and traveling down a back road to go to a winery might not always seem smart especially when you are traveling and you weren't planning on taking a side trip and you might be on a schedule. Every time we have taken the time to do this we've not been disappointed. The Arkansas wineries were really surprising for our sight and tastes. Florida - We have been to two Florida wineries, Lakeridge Winery and Eden Vineyards. 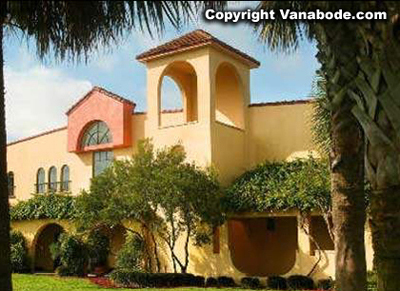 In 1989 the Lakeridge Winery and Vineyards opened the doors to in Clermont The estate sits on 127 acres of rolling countryside just 25 miles west of downtown Orlando. They produce over 50,000 cases under the Lakeridge and Lakeridge Reserve brands and together these labels have won more than 300 awards. 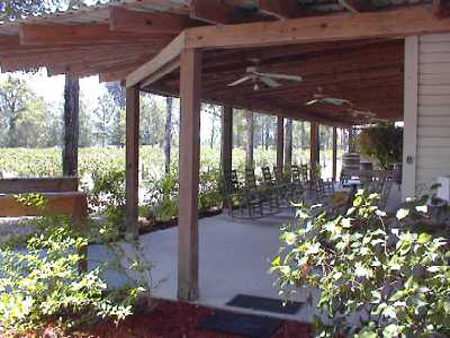 The Lakeridge Winery specializes in Florida hybrid bunch grapes as well as varieties of Muscadines. The skin of the Muscadine grape is tough and they are well adapted to their native warm and humid climate. The grape needs fewer chilling hours and they thrive on summer heat. They muscadines grow best in fertile sandy loam and alluvial soils and they are also resistant to pests and diseases which makes them valuable to the Florida grape grower. Even though some drier varieties exist the typical muscadine wine is sweet and often considered a dessert wine. And the best thing about Muscadines, they contain greater amounts of antioxidants than the better-known red wines. Eden Vineyards in Alva specializes in Florida hybrids. Eden is only 10 miles east of Fort Myers and which happens to be the southernmost vineyard in the U.S. The family began planting wine grapes on twenty acres over thirty years ago and they now produce six wines. Driving up the dirt road to Eden Vineyards and Winery is a beautiful old Florida experience. It was such a delight to taste these wonderful wines and hear stories about the family and the little rural community of Alva. Our favorites were the Eden Spice which is a blush and the Eden Stars which is a carambola wine. These were both one of a kind wines and I wish that I had a case right now. Arkansas - The three cities that make up Arkansas Wine Country are Paris, Ozark and Altus. They are located just off Interstate 40 northwest of Little Rock and east of Ft. Smith. In 1880 this fertile sandy soil and moderate climate attracted two European families. The conditions in the area reminded them of the fine wine-making regions of Germany and Switzerland, so they each established vineyards. They made wine from grapes, berries, and fruit native to their new homeland. Today, fourth and fifth generations of these two families are still producing wine and this makes them and oldest wine producing state in the South. 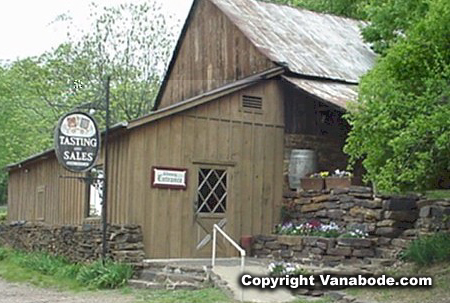 Established in 1880, Post Familie Vineyards & Winery has wine tasting, tours, and a gift shop. Mount Bethel Winery which is owned and operated by a Post family member for more than 100 years produces a wide variety of locally-grown fruit wines. As well as grape wines they produce wines from blueberry, strawberry, blackberry, elderberry, peach, wild plum. Chateau Aux Arc is known for cynthiana and chardonnay grapes, it was established in 1998 by the Audrey House. We had a great time tasting these fabulous fruity wines. We ate lunch at the Weinkeller Restaurant which is listed on the National Register of Historic Places. 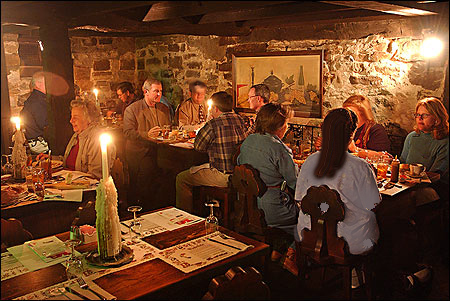 The original wine cellar has been converted into a restaurant and serves European and Swiss specialties. You cannot miss the opportunity to tour around the Wiederkehr Wine Cellars and Vineyard. Jason's thoughts - All I have ever heard is California wines. I didn't even know every state in the United States had wineries. I certainly did not realize how GOOD nearly all the wineries are. I was stunned by the fruity wines in Arkansas and loved the specialty wines made from Carambola fruit in Florida. Get out and enjoy whatever is around because you may be pleasantly surprised. Kelly's thoughts - It's nice that not all wines are created equal. I really like the differences of fruit based wines compared to grape wines. They are a lot of fun and make a great gift.